What is the best Clubcard travel deal? 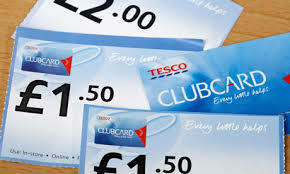 What are the best Tesco Clubcard travel deals? Our sister site, Head for Points, is focussed on earning and spending Avios points and Virgin Flying Club miles. These are both Tesco Clubcard conversion options, and if you use your Clubcard vouchers for either of these things then you should be reading Head for Points daily. There are other ways of using your Clubcard vouchers for travel deals, and they fall firmly into the Shopper Points remit. Let’s take a look. redspottedhanky offers 2x face value for train fares – this is a decent deal as the site has low fees and it is difficult to find discounted train tickets. You will genuinely get 2x. Europcar is 3x but UK only and with restrictions (such as only being valid on ‘pay on arrival’ rates). Discounts available elsewhere would take the true value well below 3x. The various ferry companies offer triple the face value of your vouchers. I have to say, in all honesty, that I have not been on a ferry for £15 and have no idea how much ‘flexibility’ there is in pricing if you book elsewhere. Megabus and the railcards offer double the face value. It is worth a look if you need a railcard but they are not very expensive anyway. If you live in Northern Ireland, using vouchers for Translink rail and bus tickets at 3x face value may be interesting. Eurotunnel does offer genuine value for money. Feedback to our sister site Head for Points says that you pay the same price as shown on their website, availability is the same as shown online and the vouchers really do get you 3x their face value. Tesco works with many of the top package holiday groups such as Cosmos, Bridge The World, Disneyland Paris, Leger, P&O Cruises, Royal Caribbean and Siblu. These are generally at a headline rate of 3x face value. The problem is that, over the last couple of years, most have brought in sneaky rules about how many vouchers you can use and what other discounts you can (or usually can’t) include. This reduces the value. Here is an example. With cruises, Royal Caribbean does not allow redemptions against flights, only cruise costs. There is a £500 per person voucher cap and a minimum cruise of 7 nights. P&O has no cap on the amount of vouchers that can be used, but if you look at the reviews of the deal on the Tesco website it is clear that P&O does not let you use them against their best deals. Cunard requires a minimum 6 day cruise but has no limit to what you can redeem – again, there is some criticism in the reviews of promotional deals not being allowed. The six day limit also knocks out their short breaks such as Hamburg to Southampton. The hotel companies also like to confuse you and quietly reduce the value of your vouchers. In theory, you can use Clubcard deals for 300% of face value with a number of hotel groups, including Best Western, Butlins, Hastings Hotels, Hilton, Macdonald, Mercure, Novotel and Warner Hotels. In general, you are restricted to UK stays, at weekends, paying the ‘fully flexible’ bed and breakfast price. This may or may not be a problem – the biggest issue is when the ‘fully flexible’ price is substantially above the cheapest non-refundable rate on offer. Hilton has a minimum 2 night weekend stay, at Hilton and Doubletree branded hotels only, in the UK only, priced off ‘Best Flexible B&B rate’ only. Not all hotels participate. On the upside, Hilton does offer ‘limited’ midweek availability. You can check availability on the Hilton website by searching for corporate code PR20TC. apartments4u could be good – feedback is positive online. £50 of Clubcard vouchers gets you a £150 apartments4u voucher. This can be redeemed on their website as a standard discount code against any 7-night booking of £225 or more. You are therefore genuinely getting 3x face value. There are, I’m sure, some good deals to be had with Tesco travel partners. You need to keep your wits about you – search for special offers to see what your ‘real’ alternative cash cost would be, and read the reviews on the Tesco website. To its credit, Tesco does not edit these!